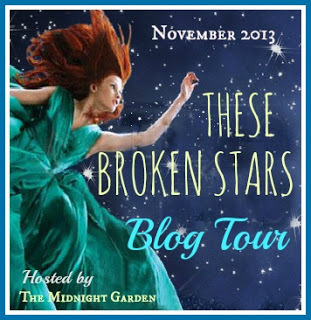 The Midnight Garden has (cautiously) opened its doors to organizing select blog tours. Tours take a lot of time and effort to coordinate, so we’ll only be doing them for books or authors that we are very passionate about and feel that we can best serve, especially since there are no plans to charge for the service. 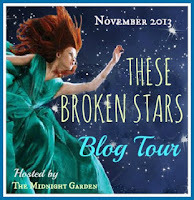 Bloggers: would you like to participate in tours hosted by The Midnight Garden? Sign up here if you would like to add your name to our database! We are extremely selective about the tours we take on, and you can be sure that we’re committed to facilitating quality guest posts and giveaways. We’re looking out for bloggers’ interests as well as the book’s, and will always keep your policies and needs in mind. We consider many factors when inviting participants, but we’re primarily interested in matching up bloggers who make the most sense for each tour. This usually means reviewers who write thoughtful content who can also bring a great audience to the books. Tour stops are limited, so preference is definitely given to bloggers we have a relationship with/chat with often and who have a proven record of reliably hosting great tour stops, as well ones who are easy and pleasant to work with. Tours will encompass both U.S. and international blogs, with the aim towards providing content that is exclusive to your site. Authors and Publishers: interested having us host your tour? We are open to hosting quality tours on a very select basis. The first requirement for our involvement: either we love the author’s previous work or we love the specific book. If you’re an author with whom we have a relationship, please feel free to pitch us ideas anytime. If you’re a publisher with a book you think we’d enjoy, or a new-to-us author, please see our Review Policies. We have a vast network of bloggers we know fairly well, and we try to match up the interviews and guest posts with the host blogs as much as possible so that your book reaches the right audience. My background as a former film publicist, Publishers Weekly reviewer, and book blogger brings a fairly unique background to this endeavor–I know what bloggers need in order to do a great job with tours, and I am experienced in guiding publicity and promotional efforts. I also have an editorial and professional writing background, and will always work to ensure that your story remains the focus of all our efforts. Work closely with the author to ensure quality posts. Promote the tour through Twitter, Facebook, etc. We’re pretty hands-on hosts and will give your book the personalized attention it deserves. It is imperative that tour materials are completed in a timely manner. Bloggers volunteer their precious spare time and efforts to promote your book, so please help them help you! Our tours will definitely focus much more on quality vs. quantity, and the books we choose to work with will be a reflection of our personal tastes. That being said, we love a great many books and authors and couldn’t possibly find the time to mount tours for every one, so if we’re not able to take on a book tour, we’re also happy to occasionally recommend fellow tour hosts as appropriate. Please note that we need to work out tour details with authors/publishers several months ahead of time, so it’s really never too early to have the conversation if you’d like us to consider your book for a tour. On rare occasions, we’ll also host a non-traditional “event” tour with a fun theme if it’s something we are enthusiastic about. We sometimes send ARCs out on tour to trusted fellow bloggers and friends so we can share the love. Please check back to find out how you can join an upcoming tour!